Toby Manning recently published his work which critically examines John Le Carre and the Cold War. 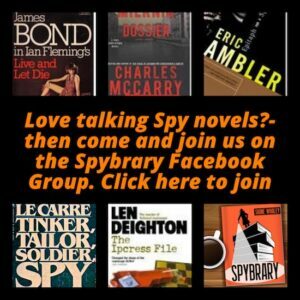 Toby joins Shane Whaley on the Spybrary Spy Podcast to tell us more. Toby became a Le Carre fan at the age of 13. Having watched the Alec Guinness Tinker Tailor Soldier Spy TV series, he was hooked and his mother bought him a copy of the novel that Christmas. He went on to study the works of Le Carre and has spent many hours trawling through the John Le Carre archive at Bodleain Library, Oxford and reading 100s of reviews of Le Carre’s books at the British Library. John le Carré and the Cold War explores the historical contexts and political implications of le Carré’s major Cold-War novels. The first in-depth study of le Carré this century, this book analyses his work in light of key topics in 20th-century history, including containment of Communism, decolonization, the Berlin Wall, the Cuban missile crisis, the Cambridge spy-ring, the Vietnam War, the 70s oil crisis and Thatcherism. Examining The Spy Who Came in from the Cold (1963), Tinker Tailor Soldier Spy (1974), Smiley’s People (1979) and other novels, this book offers an illuminating picture of Cold-War Britain, while situating le Carré’s work alongside that of George Orwell, Graham Greene and Ian Fleming. Providing a valuable contribution to contemporary understandings of both British spy fiction and post-war fiction, Toby Manning challenges the critical consensus to reveal a considerably less radical writer than is conventionally presented. Why this book is not solely aimed at academics and historians. What kind of villain was Karla? Why there is a resurgence in cold war books, movies and TV cold war/spy dramas? Why is Le Carre still popular today? More about the John Le Carre archive. 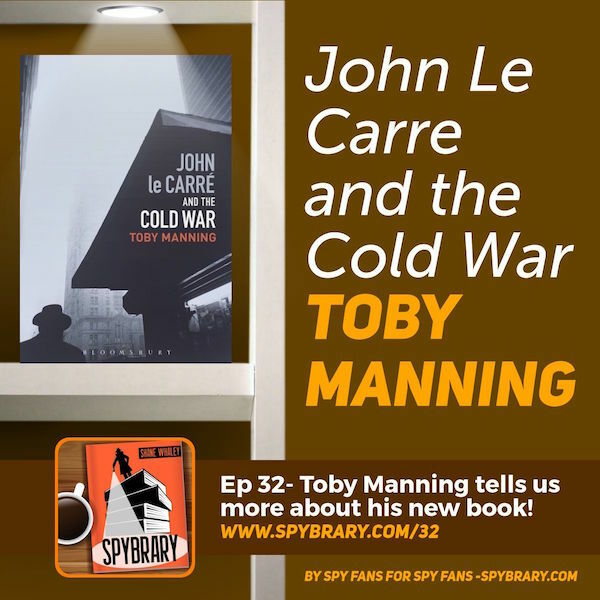 The hour flew by and I hope Toby Manning will come back onto the show as there are a lot more John Le Carre and the Cold War topics to discuss. Maybe a panel episode soon?